CAUTION: The only side effects found with Turmeric is it can cause constipation, sweating and even diarrhea if too much is taken. Limit dosage to 1/2 teaspoon per day. 1/2 teaspoon in 4 oz of water. Drink. I prefer to add 1/2 tsp. of Turmeric to hot cereal. Just add to the water before boiling and cooking. It also tastes great in soups, vegetable, egg and meat dishes. Feel free to experiment. 7. May prevent and slow the progression of ALZHEIMERS disease by removing amyloyd plaque buildup in the brain. Maybe you have a relative or friend who suffers from inflammation due to arthritis or other joint conditions. Do them a favor and get them started on Turmeric. They will be so grateful. Disclaimer: As with any alternative treatments, work with your doctor. Know that alternative remedies may not work if the person’s condition is too far gone. 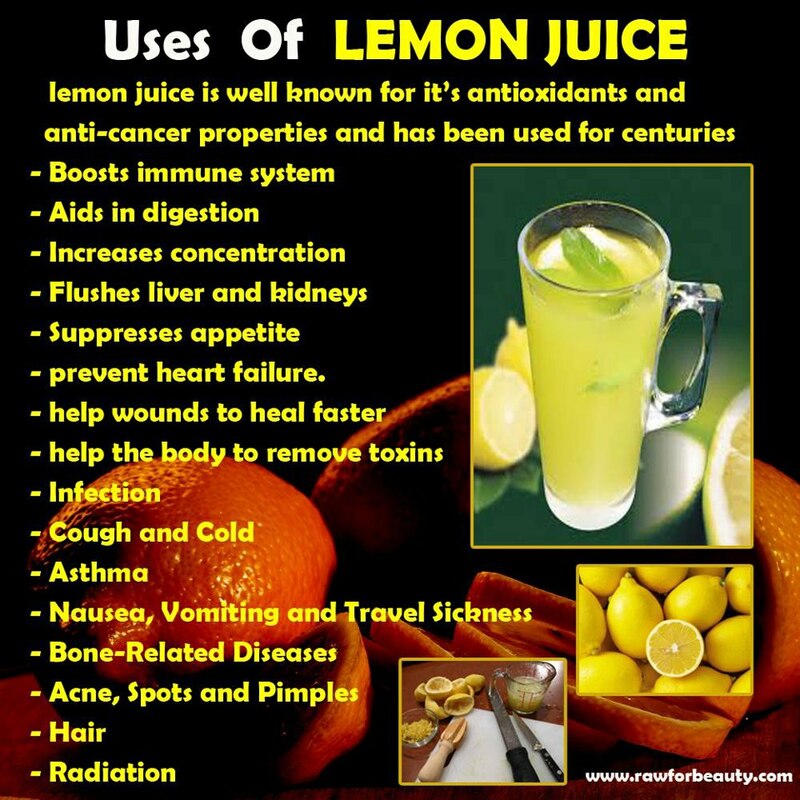 Most mornings I start with a glass of hot or warm water with the juice of a whole lemon. Because it’s too tart for me, I usually add a little Stevia to cut the tartness. I follow with breakfast within 30 minutes. This method is great for weight loss if that’s on your agenda. All the other benefits apply. Lemons are a win-win-win! About five years ago I suffered with painful osteoarthritis in the knees and legs. A good doctor told me I needed knee surgery in both knees and would be on arthritis medication for the rest of my life. That was enough for me to move my painful joints off the sofa and find an alternative cure. An online search led me to Turmeric. Within days the pain subsided somewhat. Within 3 months the pain was manageable and I could move again. Within 1 year, all pain was gone! For at least 6000 years Turmeric has been used in India as a medicine, beauty aid, cooking spice, talisman amulet and a dye. Dioscorides spoke highly of it in 60 AD when he wrote the herbal that would be Europe’s main herb source for the next 1600 years. Marco Polo praised it in his journals of 1280 AD. It has been used in Chinese medicine for over 1000 years to purify the blood, move Chi and strengthen the reproductive system. Hawaiian Kahuna use it as a sacred healing herb and in Brazil it is used to treat poisonous Viper bites. Common knowledge to every woman in India, one of the most beneficial aspects of Turmeric is to improve complexion. While supporting the healing of acne, wounds, skin cancer and more, Turmeric purifies and nourishes the blood and skin so that the glow of health is not marred by blemishes and impurities but amplified through radiant clarity. Close to the core of Turmeric’s healing power is its ability to cleanse, build and move blood like no other herb, making it an especially valuable herb to support the skin, liver and the female reproductive system. 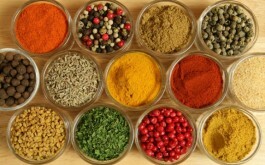 Turmeric protects your liver from toxins, pathogens and excessive cholesterol and helps to detoxify and rejuvenate it. As an antioxidant, Turmeric protects the lungs from pollution and toxins. It increases the oxygen transfer from the lungs to the blood and is a good choice for bronchitis and other pulmonary infections, especially when taken with fresh garlic. When it comes to first-aid, what ‘Rescue Remedy’ is to flower essences and ‘Arnica’ is to Homeopathy, Turmeric is to herbalism. It serves in accidents ranging from cuts to concussions. 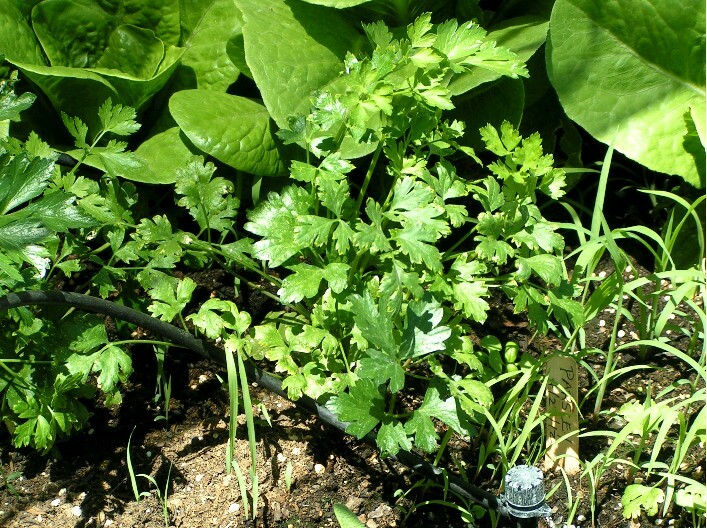 For any trauma this rhizome accelerates healing and minimizes damage. Turmeric stops bleeding, heals tissue, is a strong anti-inflammatory and is a broad spectrum anti-microbial capable of stopping bacterial, fungal and viral infections. Turmeric has a triple action against cancer: it helps to neutralizes those substances and conditions which can cause cancer; it has over ten powerful antioxidants that directly help a cell retain its integrity if threatened by carcinogens; and if a tumor does grow, it can often eradicate it. Even if one were using allopathic medicine to treat cancer, they can still use Turmeric to increase the effectiveness and decrease some of the side effects of cancer treatments. Ayurveda especially recommends Turmeric to treat and prevent cancers of the skin and the female reproductive system, namely breast and uterine cancer. Hippocrates statement, “Let food be your medicine,” is essential to Yoga and Ayurveda, and like no other food, Turmeric exemplifies this principle. To most people in India, from housewives to Himalayan hermits, Turmeric, affectionately called the ‘kitchen queen,’ is the main spice of the kitchen. Being both a ubiquitous spice and a safe healer Turmeric adds a literal meaning to the phrase, ‘The Spice of Life’. For many reasons, Turmeric is one of the best herbs/foods of Yoga. It is one of the most potent, purifying herbs in Ayurveda, cleansing the physical and the subtle, from muscles to marmas, from blood to the buddhi. It is one of the safest herbs. It increases flexibility. It reduces pain and inflammation which allows more opportunity to perfect asanas by increasing stability and ease, more sthira and sukha. It increases prana, the flow of prana and purifies prana. Yoga texts like the Shiva Samhita recommends ghee and milk before asana and pranayama practice, and many traditional yogis add Turmeric, with all her benefits, to that. Laboratory tests have found that turmeric is antioxidant and antimutagenic, as it potentially helps prevent new cancers that are caused by chemotherapy or radiation used to treat existing cancers. Turmeric in the diet may prevent pain from arthritis, bursitis and tendonitis. A volatile oil in the spice is as effective in relieving pain, under laboratory conditions, as equal amounts of steroids. 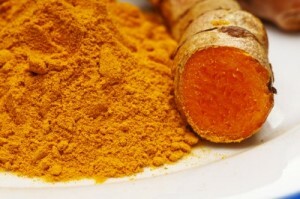 The antioxidants in turmeric fight atherosclerosis by deactivating platelet-activating facto. This protein seals leaks in blood vessels by stimulating the growth of a protein “net” on which a cholesterol plaque can form. Curcumin in turmeric helps prevent hardening of the arteries in people who have diabetes, and also helps stop the loss of protein through the kidneys. Turmeric may help relieve pain caused by carpal tunnel syndrome. If you use Turmeric for carpal tunnel syndrome, do not take supplemental vitamin C.
In the laboratory, the antioxidants in Turmeric kill cultures of cancer cells from the skin, bloodstream and ovaries. Curcumin may stop the action of a liver enzyme that activates environmental toxins into carcinogen forms, and may be especially useful in deactivating the carcinogens in cigarette smoke and chewing tobacco. Turmeric in the diet increases the production of enzymes that digest fats and sugars, and stop cholesterol from forming gallstones. Turmeric prevents the release of histamine in the stomach, quelling nervous stomach and counteracting food allergies. Turmeric fights gum inflammation by halting the action of a gene that creates irritant chemicals. With the irritation, bacteria cannot find a place to grow, and the absence of bacteria reduces both bad breath and gingivitis. I use it daily in oatmeal or cream of wheat cereals (1/2 tsp, dry spice in the cooking water). Can also use in soups and other dishes as you desire. Limit the quantity to 1/2 tsp daily. You will find it at your local health food store. I buy it in bulk because I go through so much of it. I recommend Amazon.com. There’s a secret doctors and pharmaceuticals don’t want you to know: everything you need for a healthy body is found in nature. Unless the ingredients are organic or you know they are natural, medicines bought over the counter or by prescription have chemicals in them. Chemicals destroy the free radicals in the body which can lead to disease. So while that prescribed antibiotic you received for an infection will probably stop the infection, the body will fight hard to bring itself back to normal and restore it’s balance. By the time the body restores itself from the artificial chemicals in the body, it is vulnerable to get sick again. Prior to five years ago, I had recurring bacterial infections: bronchial, sinus, ear and so on. These infections are debilitating, painful and can lead to death if ignored. I needed antibiotics about three times a year, and I just couldn’t bear to visit the doctor once again. Ignoring the symptoms, fever and pain while self-medicating, I almost died. Armed with antibiotics that I ingesting and throwing away the mind-numbing pain killers, I set out on a wonderful adventure to learn the cause of infections and natural cures. Down the rabbit hole I went and was shocked and pleased to learn that almost all my/our health problems can be cured by a healthy diet and alternative herbs, medicines and treatments. Disease cannot live in an alkaline system, while disease thrives in an acidic system. I learned what foods to eat and what to avoid. I will write about that in another post. Was I cured of infections? I haven’t had a cold or flu in five years, or a bacterial infection. When I get signs of impending illness, I boost up on Oil of Oregano. If the body becomes ill because of an infection, there are a number of remedies to use: apple cider vinegar, garlic and onion, hydrogen peroxide and others. 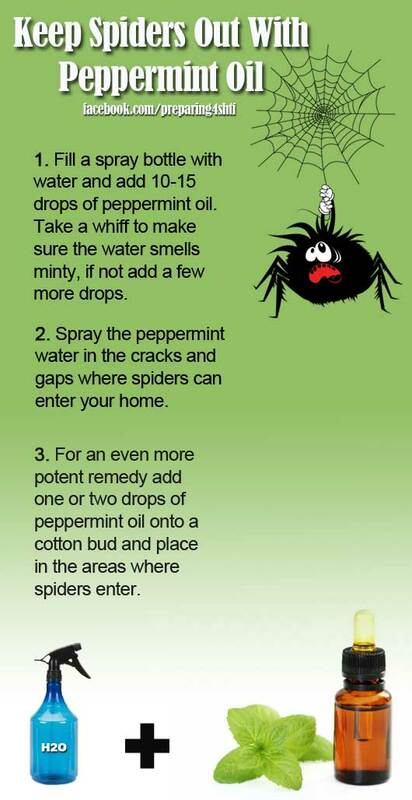 However, the most powerful antiobiotic remedy I have found is Oil of Oregano (Wild). It must say “Wild” because this is a type of oregano oil grown in the Mediterranean and known for its potency. It is an anti-viral, antibacterial, anti-fungal, (yeast and candida problems), anti-microbial, and an anti-tissue agent, meaning it halts coughs and eases spasticity of the lung tubules. Powerful. Oil drops are usually more potent than capsules. Dilute the drops in water. The capsules are fine with a reduced potency. I alternate using oil drops during winter, and capsules the rest of the year. I always keep this wonderful herbal on my shelf at all times. Your local health food store. Because they are more expensive (and I try to save on gas), I buy most of my herbals online at the same time to bring down the shipping cost. The links below will take you to the best buys I have found with the most potency. Disclaimer: I am not a doctor. As always, refer to your doctor for diagnosis of illness and discuss it with them. This remedy is for those who want to take their health in their own hands and claim responsibility for it.